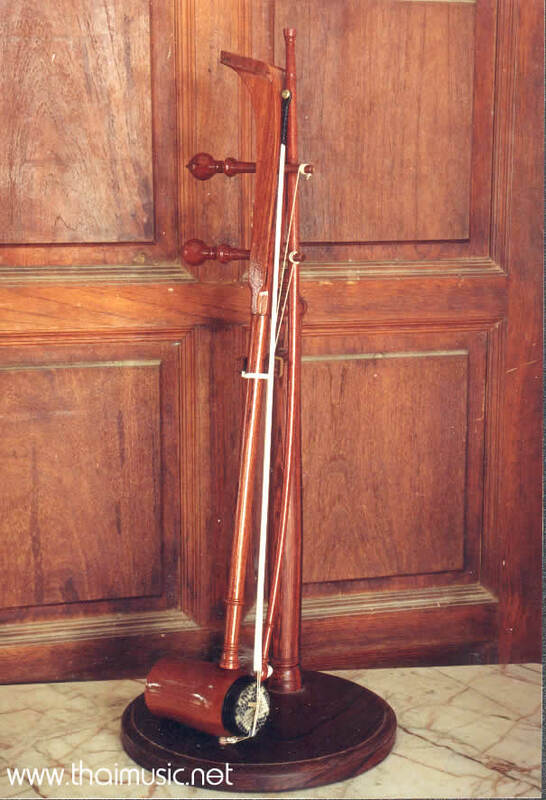 The Saw Duang is another two stringed thai instrument. It is made in a similar way to the saw u except that it is smaller in size. The approximate length is 72 cm. The box is 70 cm in length and is made from horse tail hairs. The bow is attached to the instrument in the same way as the Saw U with the strings of the instrument in between the bow strings and the bow. The tuning is also similar to the Saw U. 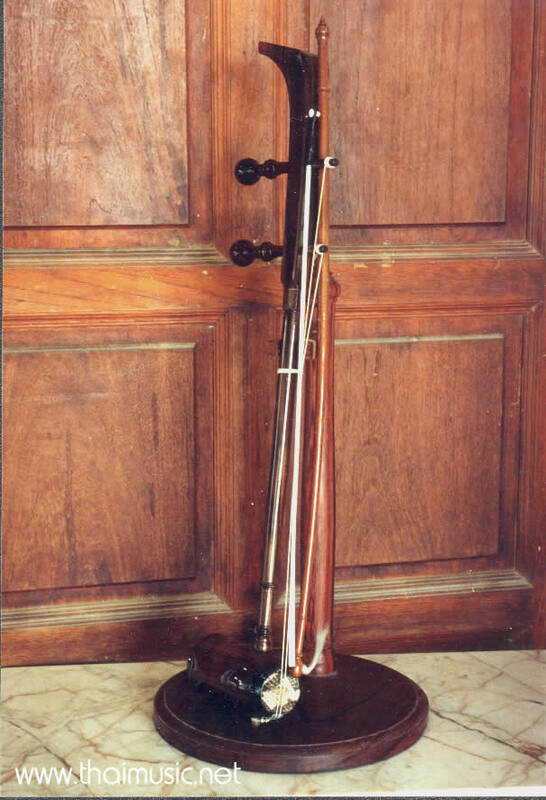 The main characteristic difference between the two instruments is the sound chamber which on the Saw Duang is a cylindrical shape made from Bamboo , hardwood or even Ivory. The ivory and bamboo sound chambers are less common these days. The skin on the head of the sound chamber is often made from snake skin. The effect is to give a piercing sound which characterizes the instrument with it's own particular tone. Both the Saw Duang and the Saw U are found in the Mahori ensembles. The name of the Saw duang is said to have originated in the Northern parts of Thailand. The instrument resembles the shape of a lizard trap called Duang Dak Yae.